Facebook is looking to evaluate the power of brand activity on the social media site. The firm is working with traditional TV insight firm Nielsen to investigate marketing across Facebook and television. Facebook is trying to promote examples of brand success on the site – where many international brands have had huge responses to social media marketing. They include revenue-boosting applications, huge global reach across Facebook’s 700 million users, or simply the ability for users of the site to ‘interact’ with huge brands. According to Marketing Week, the company is set to launch facebook-studio.com to prove how the site has helped brands. Facebook announced today that a 12-member client council has been developed to give the social network input on advertising and marketing. The announcement came at the Cannes Lions International Festival of Creativity. An invitation-only group, the client council will consist of agency leaders as well as Facebook’s biggest global clients. The different companieswill rotate membership each year to give them a chance to participate and influence Facebook’s various ad offerings. A huge study has found people who use Facebook have closer friends and are more socially-engaged. The report counters the stereotype that people using the internet can become isolated and reclusive. The Pew Internet and American Life Project spoke with more than 2,000 people in the US to find out the effect sites like Facebook have on their lives, social mobility and interactions. The report says Facebook users are more trusting than people who never go online, and they are 43% more likely than other internet users to believe “most people can be trusted”. Facebook users have nine percent more close friends than non-users too. The results tend to suggest networks of friends on Facebook trust each other’s recommendations and opinions, and are happier to engage with others in debate or discussions. 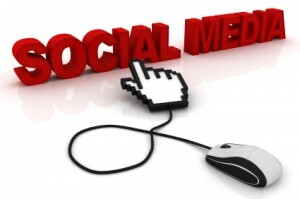 The research also underlines the persuasive power of social networking as a marketing tool for businesses. Could new trademark begin Google shift to social media? Reports in San Francisco claim Google has trademarked the name Photovine – believed to be a new social photo-sharing service. The San Francisco Chronicle reports that the search engine giant could be looking to move into social networking territory, as an alternative to its traditional search page. Google is clearly aware of the way Facebook has moved swiftly to dominate the social side of the web – and in many cases, Facebook has even replaced the need for a search engine for internet users. The +1 button recently introduced by Google drew direct comparisons with “liking” on Facebook or giving a thumbs-up on YouTube. For searchers, it means the engine can give more preferential results by analysing previous +1s on results and apes other recent developments in social media marketing. Google already has a photo sharing service – and it is not known yet if Photovine is being lined up as a direct replacement, or a rebrand for this service. New services on Facebook are set to overhaul the way companies use social media marketing to raise awareness of their brand. At the turn of the year, the social network introduced new Facebook iFrames feature which allowed Facebook fan pages to more or less become websites in their own right. Now FB X-Tab is out, and is pushing marketing via social networks into the realm of News Feed Optimisation. This allows marketers to direct users straight to their products via popular newsfeeds – which are regularly checked by all Facebook users as they appear on their homepages. Facebook is looking to constantly improve the way it gives users information they may be interested in, and changes such as FB X-Tab will allow marketers to harness the huge audience available on social networks like never before. The Institute of Fundraising has produced new guidelines for charities looking to maximise their fundraising through social media. The increasing prevalence of social media networking sites, such as Facebook or Twitter, has seen a boom in major corporations growing their brands online. Now charities are hoping to raise awareness of their work, and attract donors online. The Institute has drawn up guidelines, with telecoms company BT, to help charities ensure they strike the right tone to get their social media marketing right.